You know how a slice of cake with just one layer is good...two layers is really good...three layers is even better...but 4 layers are scrumptious! Well then how fabulous would 5 layers be?! 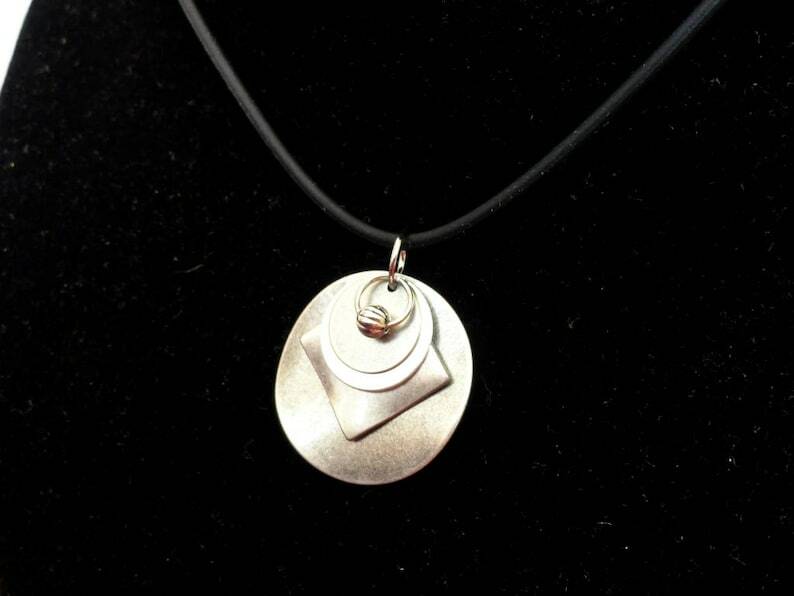 This gorgeous pendant has 5 yummy layers of mixed metals - a ribbed bead on a ring over a small antique silver disc over a bigger shiny silver disc over a gorgeous antique silver diagonal square over a 1" round antique silver disc. They move independently and hang together on a large antique silver ring. Delicious! Granddaughter loved this pendant for her birthday. purchased the earrings to match.